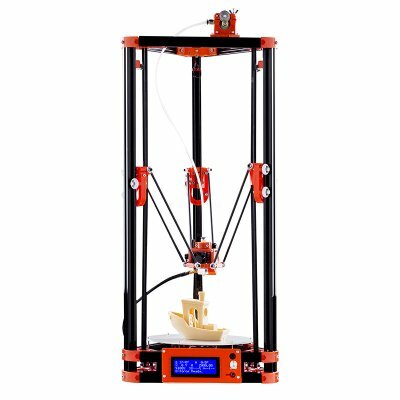 Successfully Added Delta Kossel DIY 3D Printer - Durable Build, Large Print Volume, Offline Priting, Mac & Windows Support to your Shopping Cart. The Delta Kossel is an affordable DIY 3D printer kit made by FLSUN. The heated bed lets you use ABS and other filaments such as PVA, wood and nylon for printing. Thanks to its cleaver delta architecture the printer has a large cylindrical build volume of 180x300mm. This printer also benefits from a dual fan cooling system allows for long build times without any overheating. This printer comes as a complete DIY kit so not only do you get the fun of printing but you have the joy and rewarding experience of assembling and building the kit. Don't worry though a full set of instructions is provided. and as with anything like this there is loads of online help available should you need. Supporting Windows XP/7/8 and Mac OS you can print direct from most computers while the SD card slot lets you print offline. With its aluminum structure and injection molded parts this 3D printer is made to last. The delta architecture lets experienced DIY aficionados increase the print volume by expanding the height of the polls, drive trains and cables. 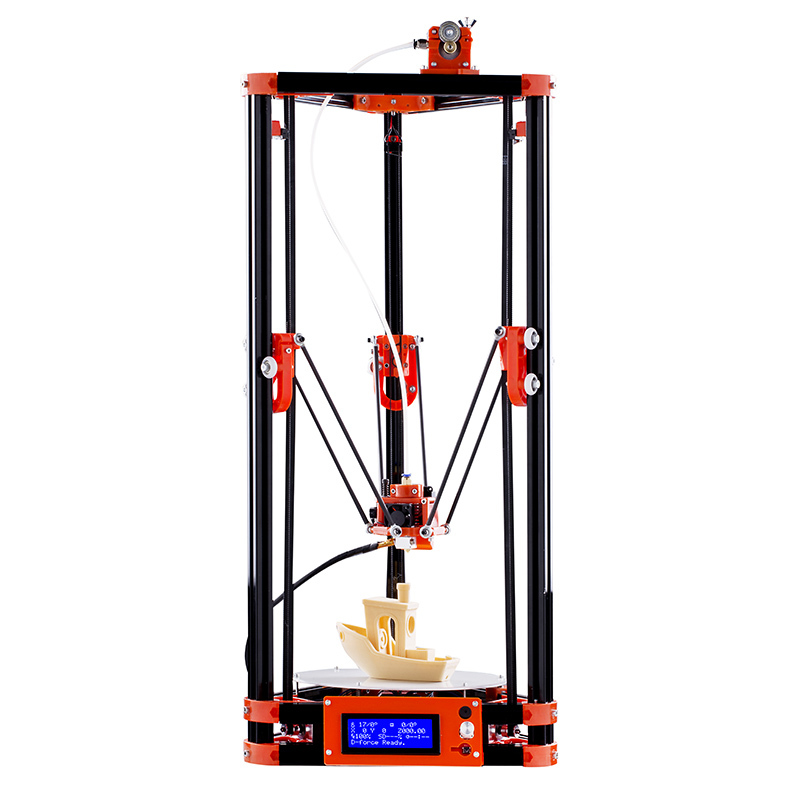 The Delta Kossel 3D printing kit comes with 12 months warranty, brought to you by the leader in electronic devices as well as wholesale 3D printers and cool gadgets. Arabic: - طابعة 3D ديي - Chinese Simplified: - DIY 3D 打印机 - Czech: - DIY 3D tiskárny - Danish: - DIY 3D Printer - Dutch: - DIY 3D-Printer - French: - Imprimante 3D bricolage - German: - DIY 3D Drucker - Hebrew: - DIY במדפסת תלת-ממד - Hindi: - DIY 3d प्रिंटर - Italian: - Stampante 3D fai da te - Japanese: - DIY の 3 D プリンター - Korean: - DIY 3D 프린터 - Norwegian Bokmål: - DIY 3D-skriver - Portuguese: - Impressora 3D DIY - Romanian: - DIY imprimanta 3D - Russian: - DIY 3D-принтер - Spanish: - Impresora 3D DIY - Thai: - เครื่องพิมพ์ 3 มิติ DIY - Turkish: - DIY 3D printerlere harcama maddeler - Vietnamese: - Tự làm máy in 3D.